2018 saw POLAR STATES cement their reputation as one of the Uk’s most exciting new bands, signing with Killing Moon Records following the band entering Spotify’s Viral 50 chart, and selling out a string of shows across the UK and Europe. Having grown up in small towns dotted around the Northwest of England, the band came together in 2015, with an aspiration to build a world different to the one they were born into. A world they believed discouraged you from ever being a part of anything bigger than yourself, and was fraught with forgone conclusions as to how you should live your life. They spent most of their first two years quietly writing and refining their sound, whilst privately sending out demos to their followers on instagram. Naturally, the bands early lyrics often became a nostalgic, and frequently critical, take on individual experiences and the world they found themselves in. 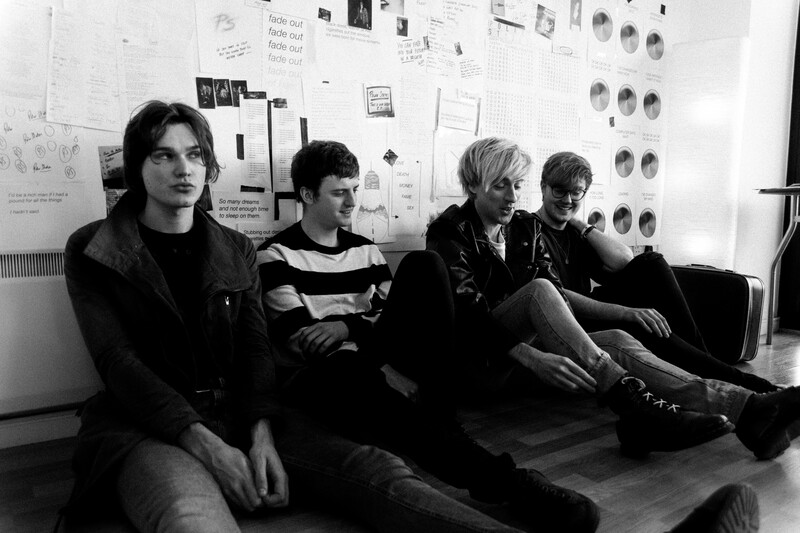 The buzz surrounding the band quickly caught the attention of BBC Introducing Merseyside’s Dave Monks, who subsequently pushed the band onto 6 Music, and Radio 1, all before their first gig. Further Radio 1 airtime, the Topman playlist and slots at Kendal Calling, Liverpool Sound City, The Great Escape Festival and more followed, before the band went back to the studio to complete their upcoming EP, scheduled for release in June. The EP has been co-produced by Larry Hibbitt (Sundara Karma, Nothing But Thieves, Sea Girls, Bloxx).